Not really "trash." 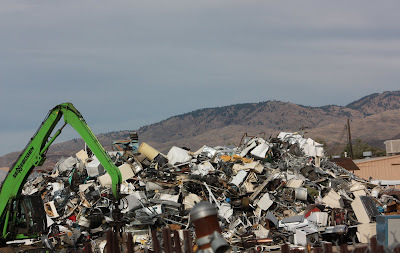 This is a heap of metal recyclables at Pacific Recycling. They have open bins for the public to use for free, and when I was there to take this picture, there was another type of "recycling" going on: dumpster divers looking for treasure. Lots of sharp objects in there I bet.